In Robbie the Royal Messenger, Papa tells Billy the exciting story of Robbie’s journey from gathering firewood for Stirling Castle to becoming the King’s most trusted messenger. As Billy learns, Robbie’s transformation is made possible through a simple act of kindness. This story set in early Scotland shares the importance of being kind, especially to our neighbors who are isolated and lonely. Through Robbie, we see that kindness always leaves us better off, and sometimes it’s even repaid many times over. 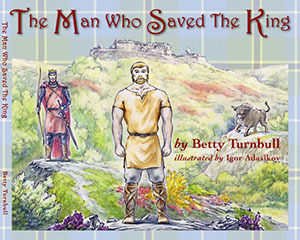 This dramatic story tells how William Rule saved saved the life of King Robert the Bruce and the Turnbull family got their name. Based on a historical account, this adventure tale takes children on a beautiful journey through ancient Scotland while teaching them an important lesson about personal purpose. This tale, based on the historical story of William Rule and King Robert the Bruce, takes children on a beautiful journey through ancient Scotland while teaching that all of us are here for a purpose. This is the first in Betty Turnbull's Papa and Billy series. A Sergeant in the House, tells the story of Lenny who desperately wants a puppy. 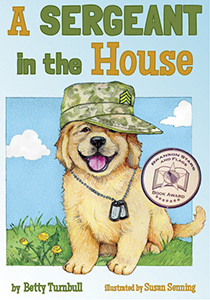 His father is in the military, the family must move frequently, and Lenny is still very young to care for an animal, so Lenny strikes a bargain: When his daddy becomes a sergeant, Lenny can have a puppy. When his father is deployed to war, Lenny learns what it means to be responsible, to care for his family, and to help around the house. A dreaded phone call brings the news that Lenny's father has been injured and is being sent home. When Lenny's father explains that this means he'll never become a sergeant, Lenny realizes that what he truly wants is his daddy—puppy or no puppy. This heartwarming story is a salute to military families across the country, and a cheer for our nation's heroes. 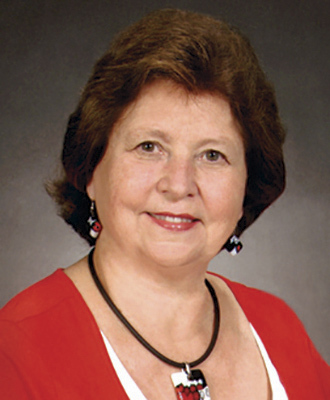 In this, the second book in the Papa and Billy series, author Betty Turnbull takes the reader on a trip back to early 18th century Border times. 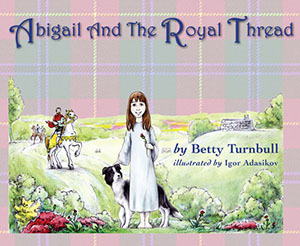 In Abigail and the Royal Thread, Papa tells Billy the inspirational story of Abigail and her family who set out to do the impossible in exchange for a home and land to call their very own. When it looks like everything’s going wrong, Abigail must choose to believe in herself or risk losing it all. This story, set in early 18th century rural Scotland, teaches children about the power of perseverance and takes them on a journey through the beautiful borderlands, introducing them to the region’s rich history of weavers and sheep farmers. Each page is accompanied by a full color illustration depicting Scotland the way it was. Hardcover edition with book jacket. Isobel must leave all she has ever known behind. This is story of a little girl and her family's voyage to a new world. The MacDougald family journey across the ocean to settle in North Carolina teaches that while change can be scary, home is with the family. Leaving behind a beloved land, embarking on a risky journey, and settling in a far away place - all for the hope of a fresh start and bright future. 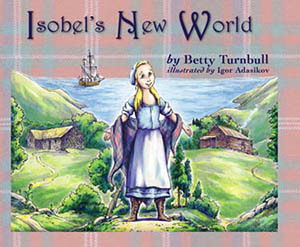 It's the story of Isobel, the story of Scottish immigrants, and the story of America. Each page is accompanied by a full color illustration depicting Scotland the way it was. Hardcover edition with book jacket.